The Speaker Case Beats Pill Dude is a fun way to listen to music. You can still get direct access to audio and charging ports after you snap in the Beats Pill. 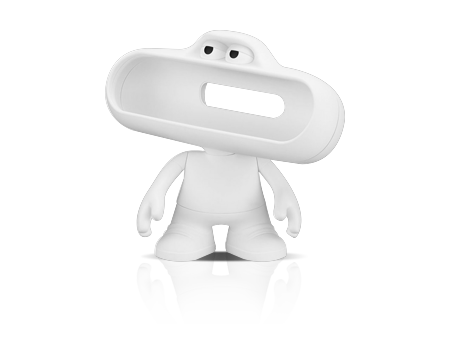 Each Beats Pill character comes with their very own expression, complete with moveable arms and heads. Snap the Beats Pill into each character and still get direct access to audio and charging ports. Paint or draw on the matte finish to customize it and make all your own.